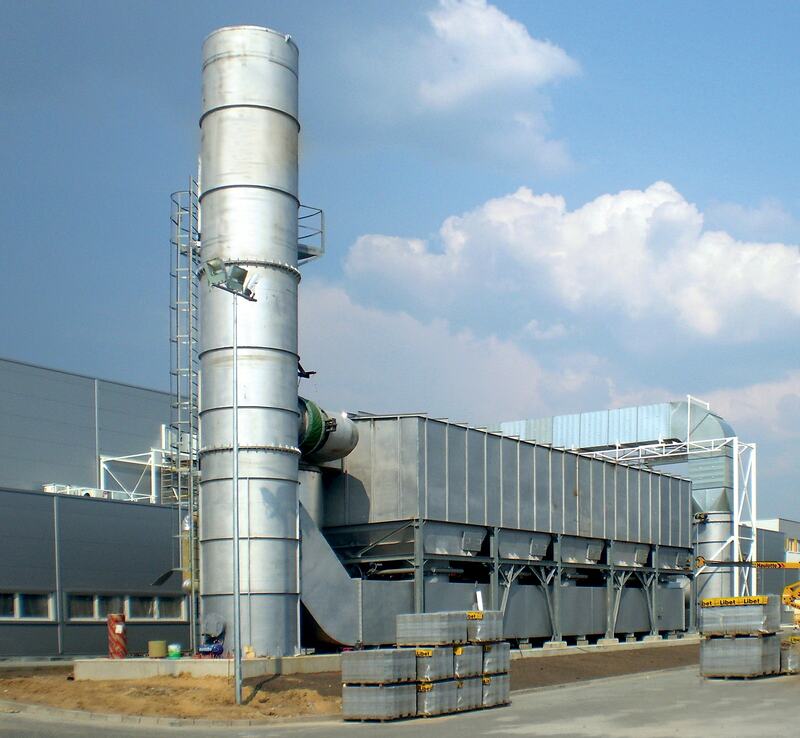 Regenerative thermal oxidizer (RTO) - CEBA S.r.l. CEBA designs and produces regenerative thermal oxidizer for different industries (petrochemical, flexible packaging, iron & steel, printing, painting, coating, others) in order to destroy a wide range of pollutants (VOC, H2S, CO, odours and other oxidizable compounds). 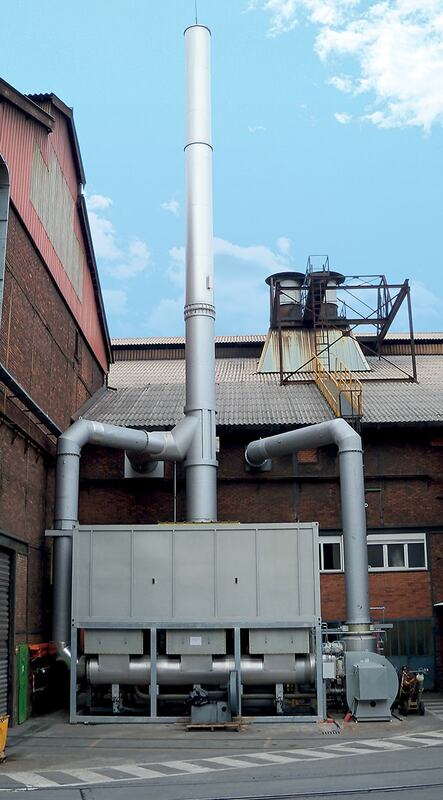 The regenerative thermal oxidizer (RTO) is used for the treatment of exhaust air and it allows oxidation of solvent, pollutants and odorous emissions that are often discharged from industrial or manufacturing processes. Almost all industrial sectors produce by-products and, even if many methods and system are available to treat them, RTO is the only that actually destroys the waste materials. 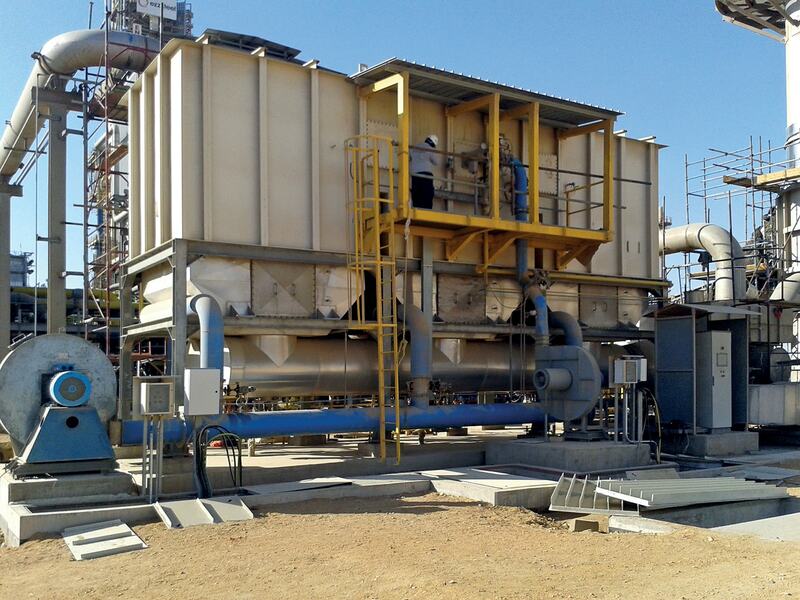 Increasing the solvent laden air (SLA) over the temperature of 750-800 °C, this process allows a high heat recovery system thanks to the ceramic material. Each regenerative chamber contains a ceramic matrix, which, depending on the direction of flow, absorbs the heat from the waste gas after combustion or preheats the air prior to combustion. According to the pollutant flow rate, the plant can use 3 or 5 towers. The process flows upward through the bed in one chamber which has been preheated during the previous cycle; the bed preheats the air near to the combustion temperature, approximately 800°C, and during this period the temperature of the bed falls rapidly. The combustion temperature is maintained either by the heat produced from the oxidation of the VOC’s or, if the VOC concentration is low, by addition of support fuel. The waste gas from the combustion chamber flows down through the bed in other chamber where the ceramic matrix absorbs the heat from the gas, before discharge to the stack. The heat absorbed by the bed in the outlet chamber is then used to preheat the incoming air during the next cycle. The average cycle time varies from 60 to 120 seconds depending on the nature and concentration of the individual contaminants. The third chamber allows a further treatment of the waste air volume, which the flow inversion prevented from staying inside the combustion chamber at the required temperature for the necessary time. In order to avoid over heating of the thermal oxidizer when high concentration of solvent occurs, a hot bypass discharging a hot stream directly from combustion chamber is used. This stream at about 900°C can be used for instance to heat up thermal oil, water or to produce steam. Complete oxidation of organic pollutant. Fuel gas saving through regenerative ceramic beds. Control of composition of treated gas at the outlet. Comply with the most restrictive environmental regulation. Compliance with the main international standard (ASME, ASTM, NACE, etc...). Process operation and control completely safe and automatic. Simple operation and low maintenance.